Say it isn’t so…February is in our futures! I’m sure it’s just another month if you are lucky enough to live in a warm part of the world…but in my part of the world it’s one month closer to WARMTH! I love to get these monthly posts out with plenty of time before the end of the month so those that like to plan ahead can do so! 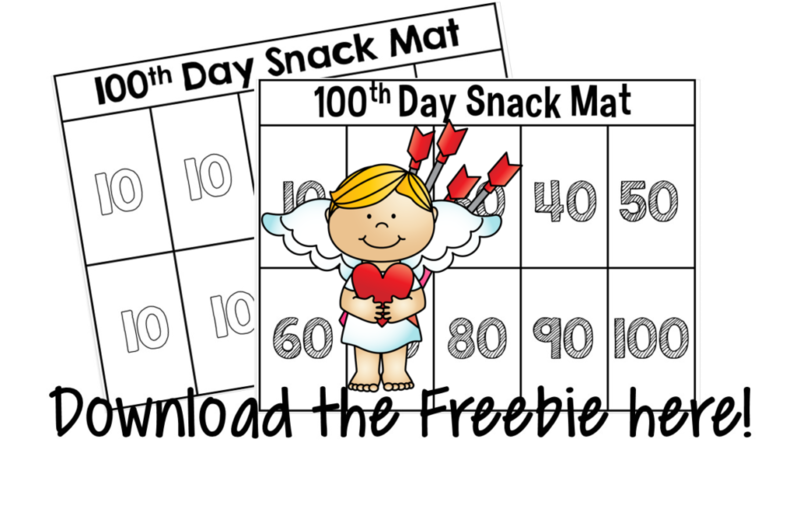 Today I will be sharing LOTS of February themed freebies, and awesome $100 Amazon giveaway and MORE! Next, I would like to share about my “go to” resource each month, Taking Back Weekends! I now have the packets in both Kindergarten and First Grade! Well, I think it’s about time to take a break from the classroom and talk AMAZON! 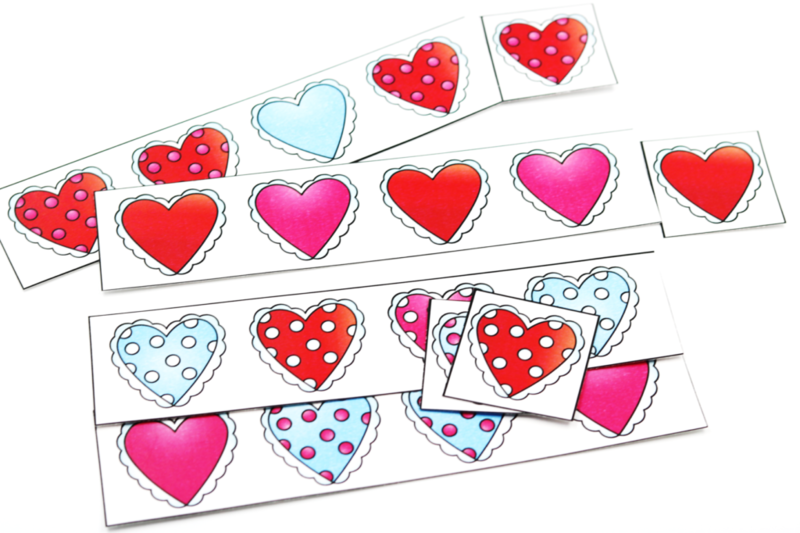 You know that February is all about buying for our loved ones…. but I’m talking about buying something sweet for YOURSELF! 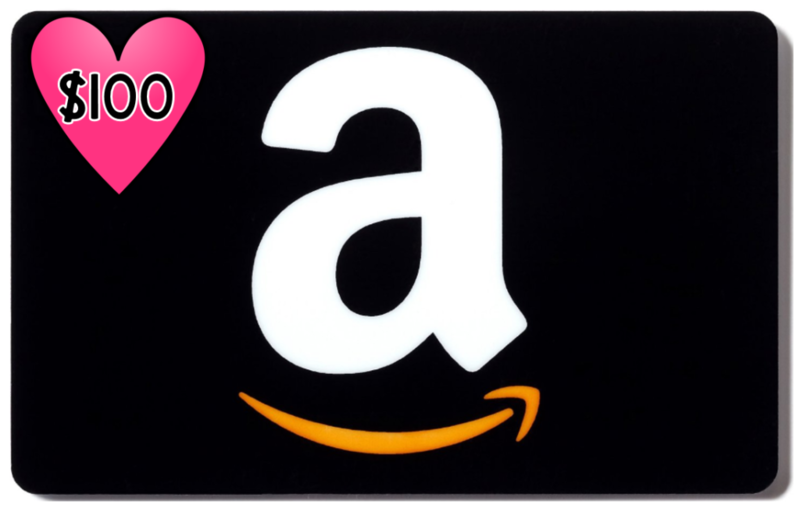 I’ll be choosing one lucky winner to receive a $100 Amazon gift card! You can enter directly below! I’ll draw a winner at the end of day Saturday, 1/28! Alright, let’s talk CENTERS! 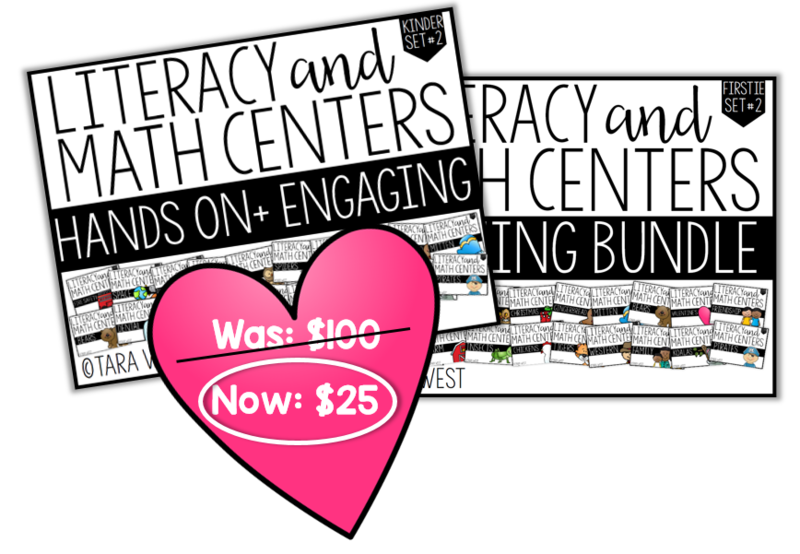 If you have followed me very long then you have probably seen my Themed Literacy and Math Centers! I have these for K-2! 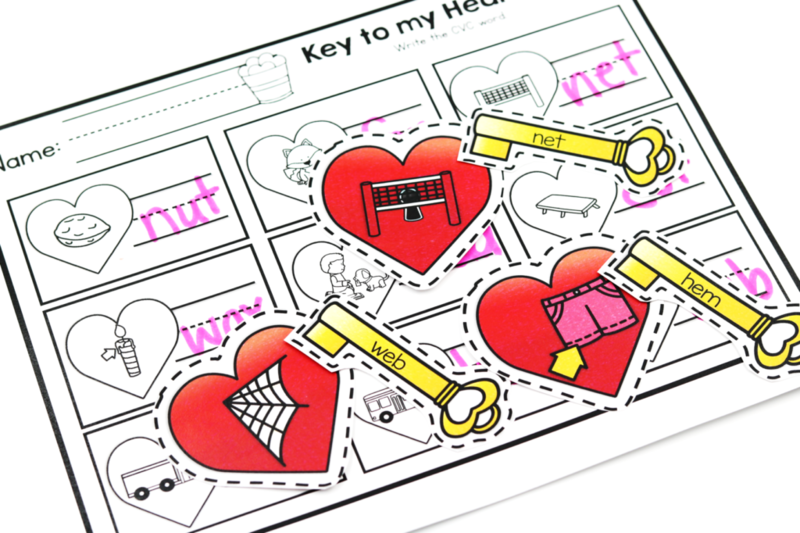 Today I will be sharing an up close look of my K-1 Valentine’s centers! 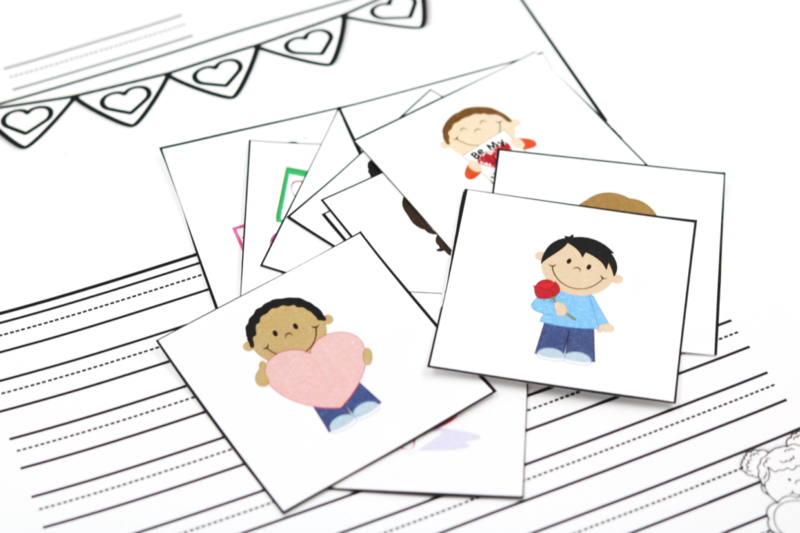 The centers are accompanied with recording sheets and always offer a color and black/white version! I have two sets of centers for each grade level. The difference between the two bundles is the themes covered. 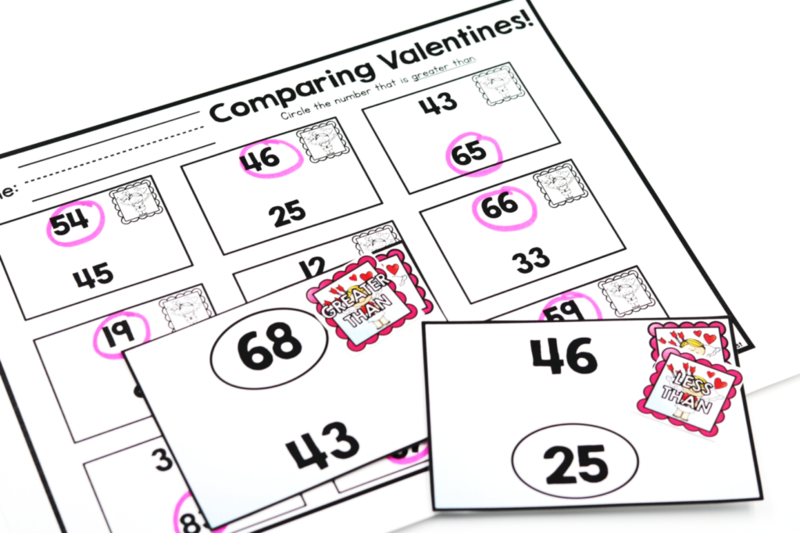 The Valentine’s centers are in Set 2 of Kinder and Set 2 of First Grade! The students will practice patterns by finding the next piece of each pattern chain! 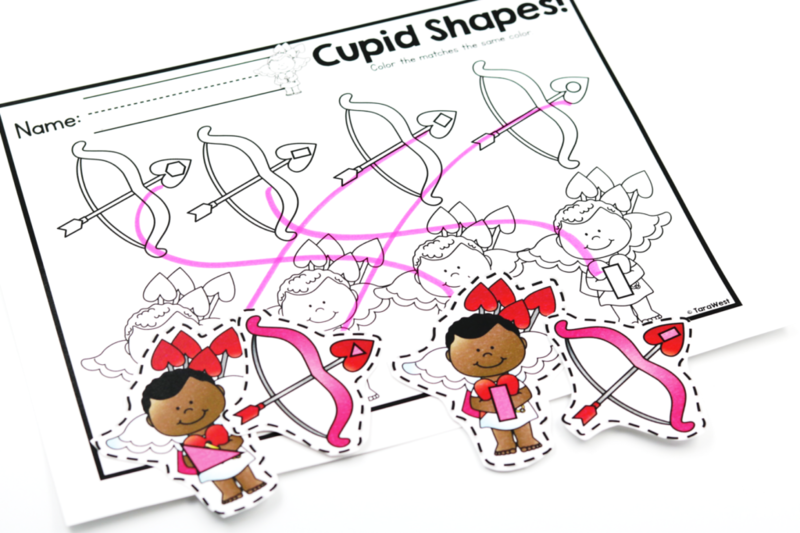 The students will help cupid find his bow and arrow by matching the shapes. 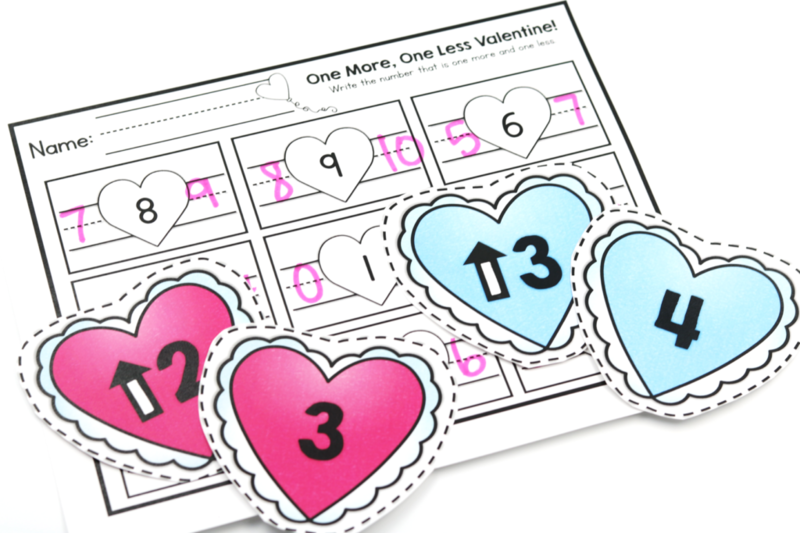 The students will practice finding one more and one less for each number by matching the hearts together. 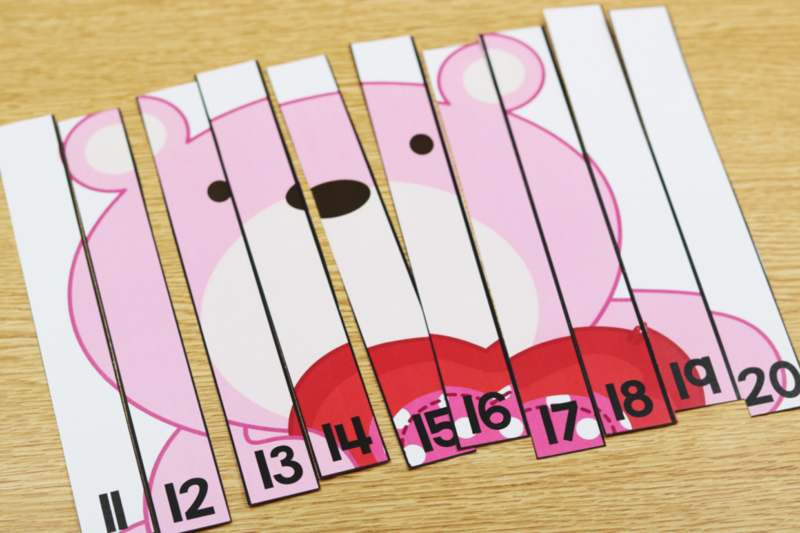 The students will build their number sense with teen numbers by putting the “say ten” puzzles back together. 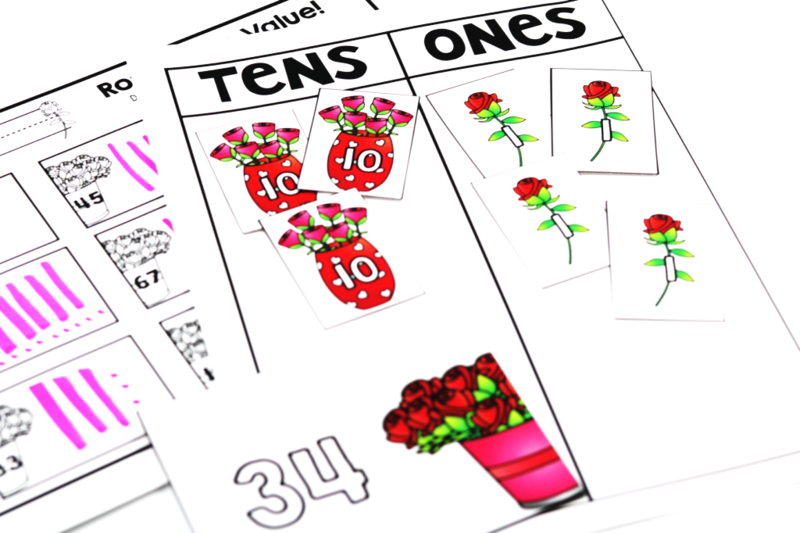 The students will improve their number sense by sorting all of the roses into the correct vases. 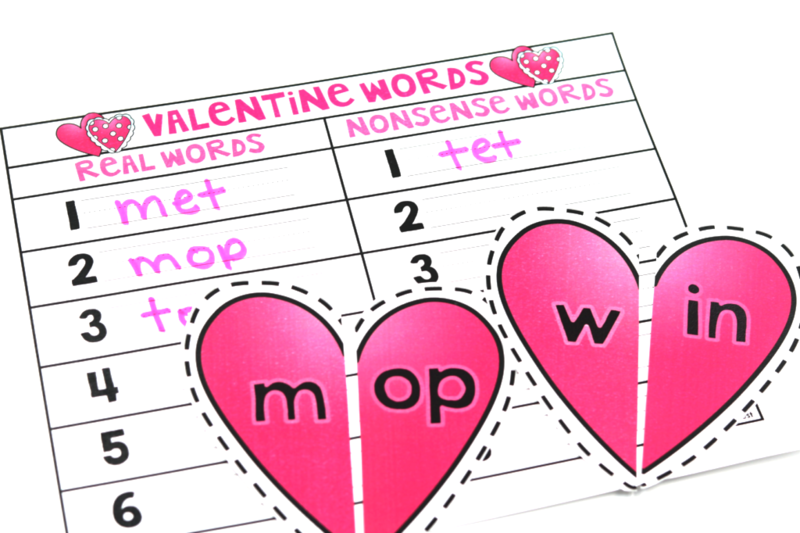 The students will mix and match the hearts to build words. Then, they will record each word to show if it is real or nonsense. 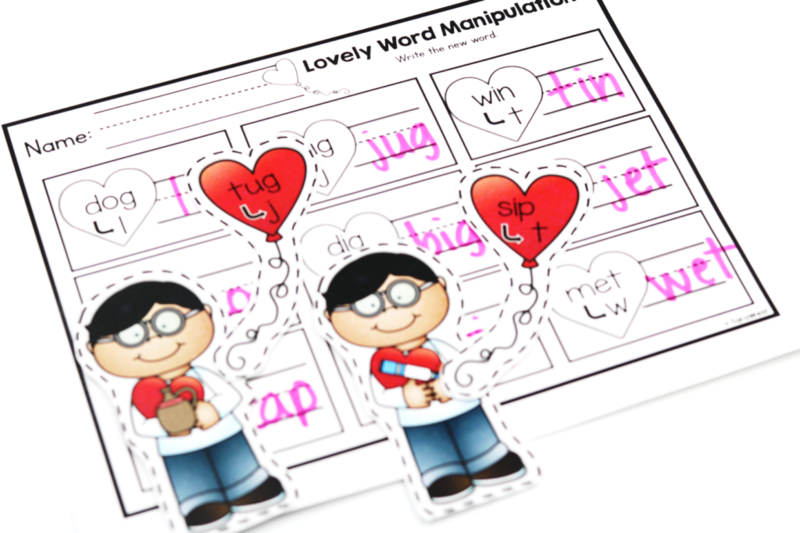 Lovely Word Manipulation:The students will manipulate each word by matching the balloons to the boys. 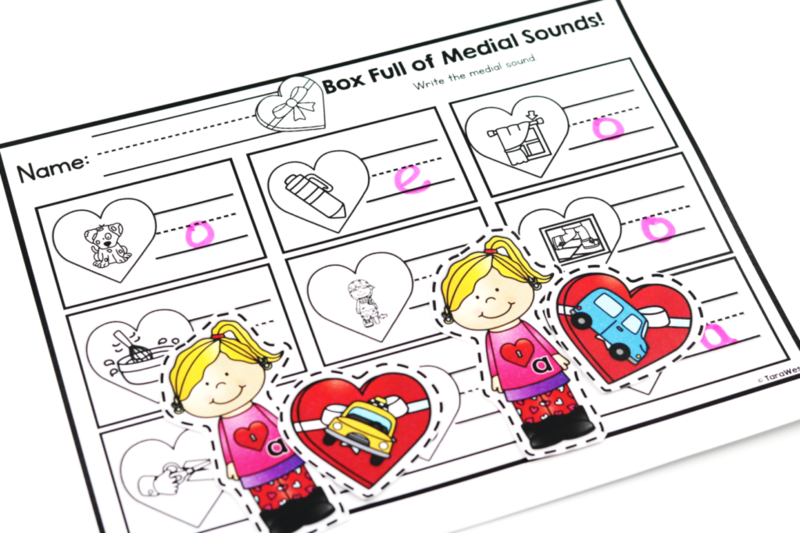 The students will identify the medial sound of each word by matching the box of chocolates to the girl. Key to My Heart CVC! 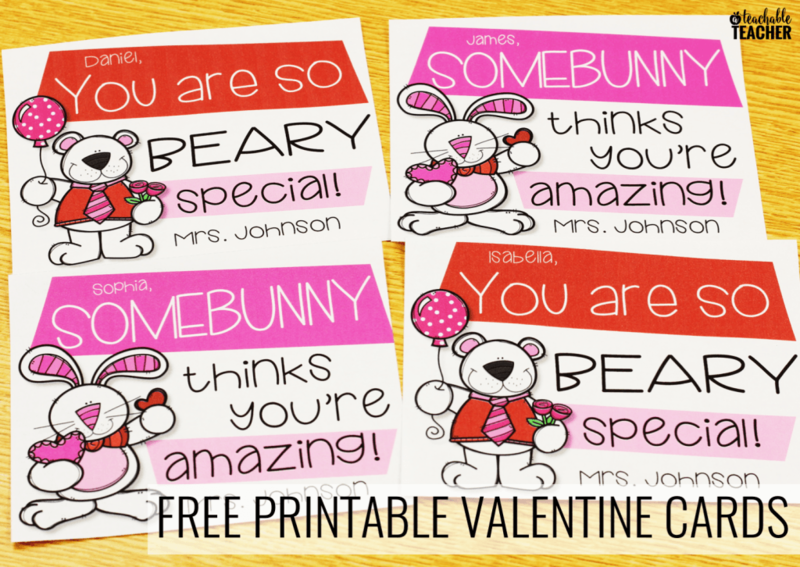 The students will match the keys to the hearts in order to label each picture with the CVC words. 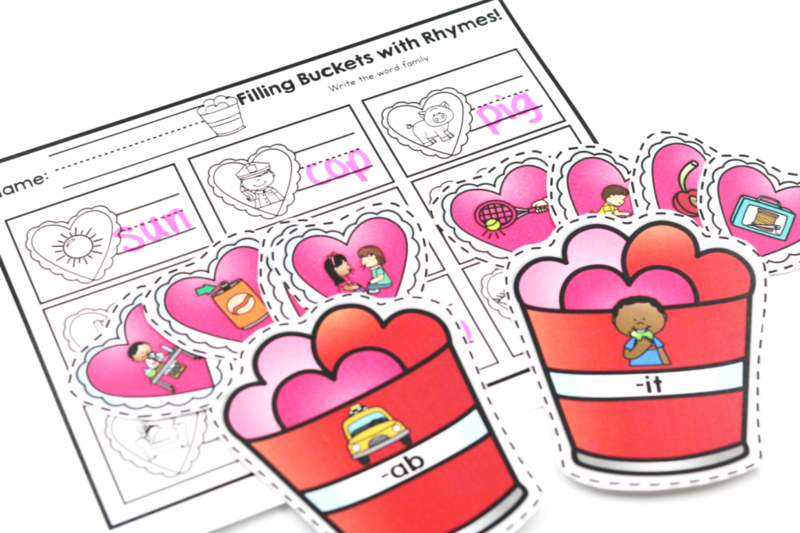 The students will practice rhyming and word families by matching the hearts to the buckets. Let’s take a look at the first grade set! 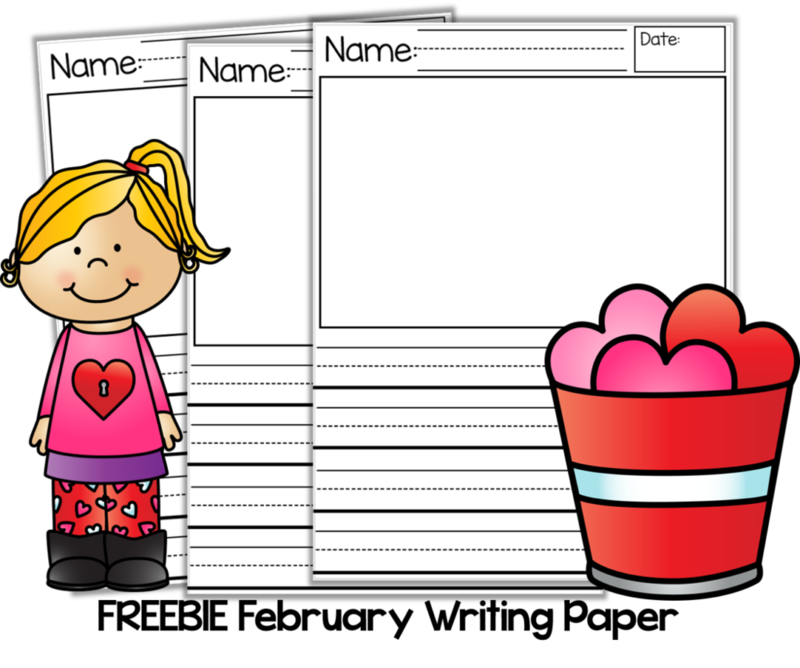 You will be able to see how the centers can easily be used together to differentiate your literacy centers! 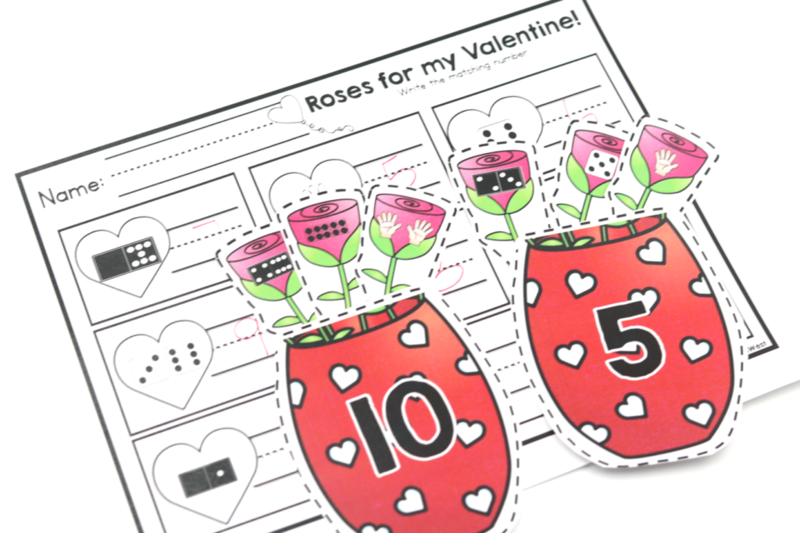 The students will practice place value by matching place value flowers to each number and comparing to find the greater number. 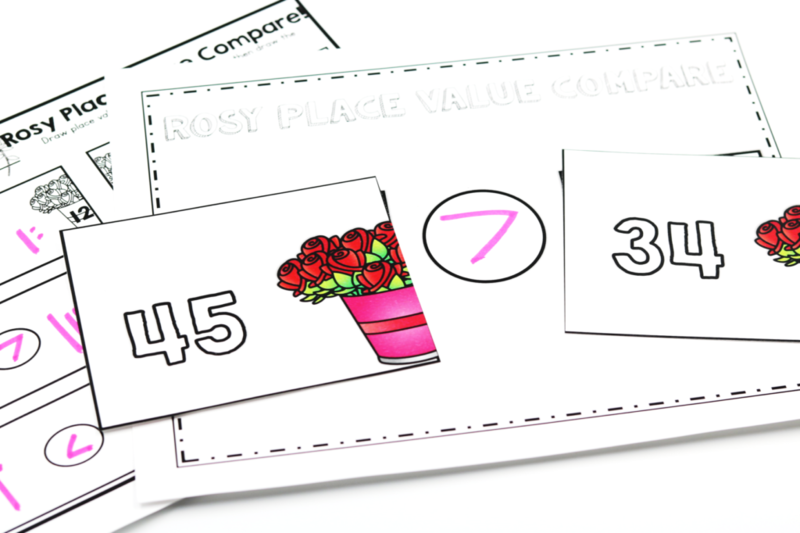 The students will practice place value by matching place value flowers to each number. The students will practice comparing numbers by matching the stamp to each letter. 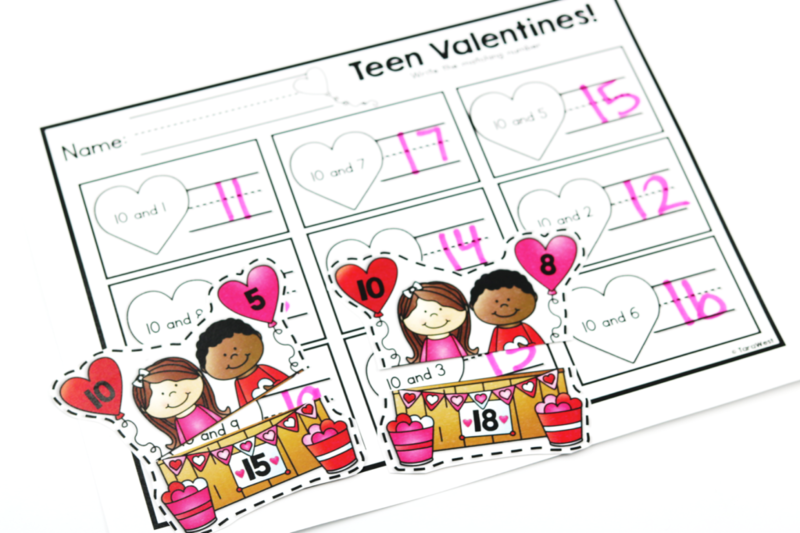 Perfect Match Facts:The students will work on addition fluency by matching the hearts to their matching sum. 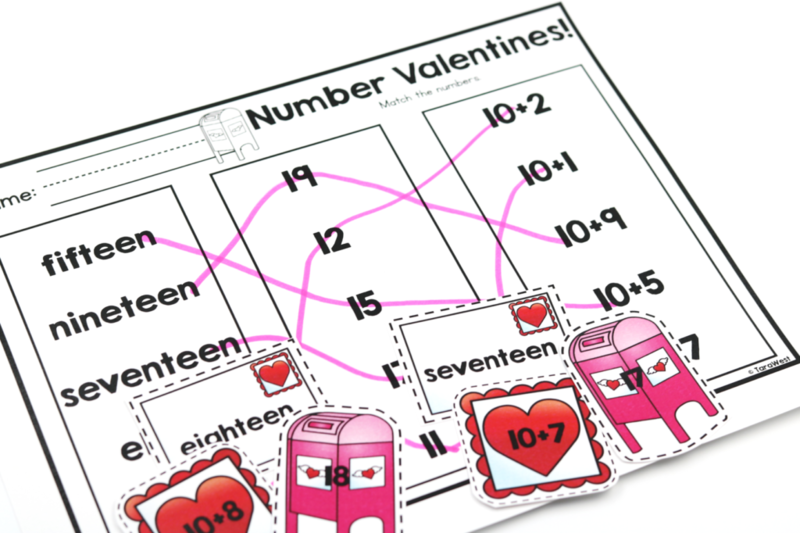 The students will work on number fluency by matching the stamps to their letter and then to their mailbox. 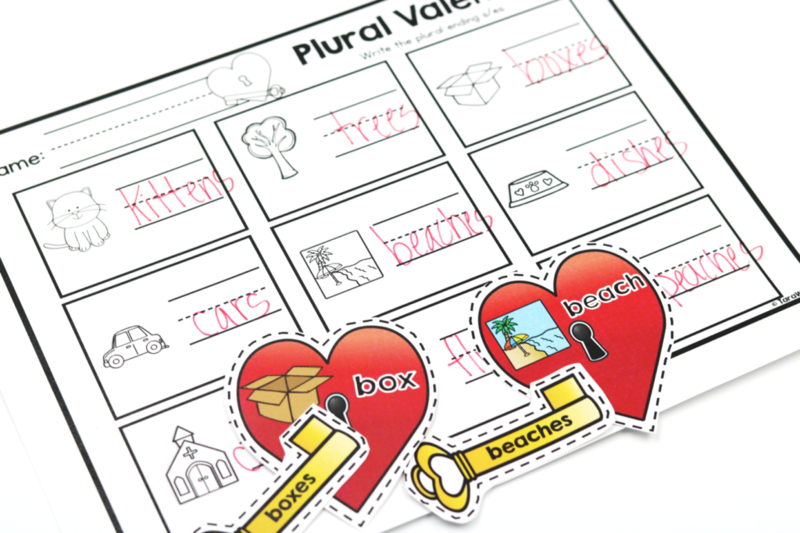 The students will identify the correct plural ending by matching the correct key to each heart. 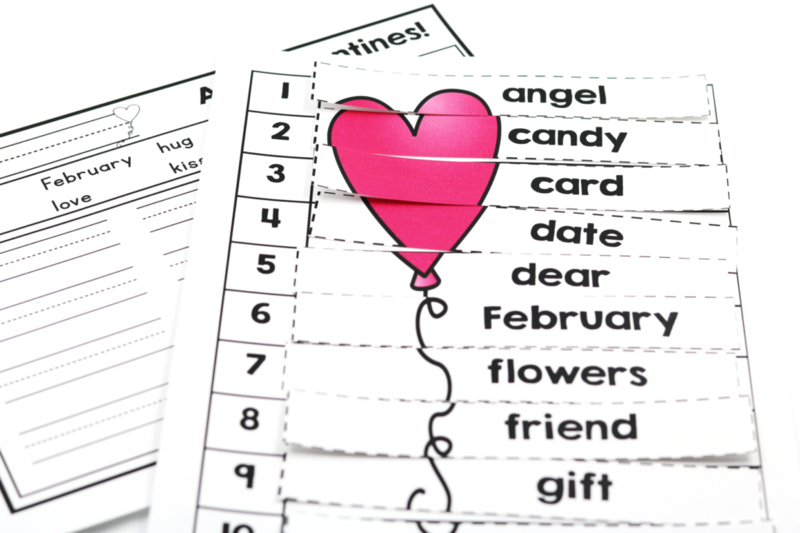 ABC Valentines:The students will practice alphabetical order by placing the words in ABC order. The students will practice writing and spelling patterns by writing a story for a picture. 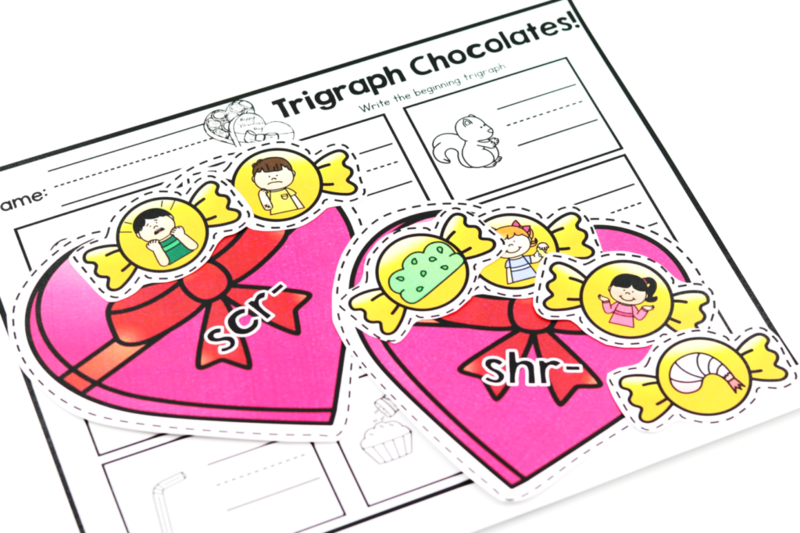 The students will identify trigraphs by matching the chocolates to the correct chocolate box. 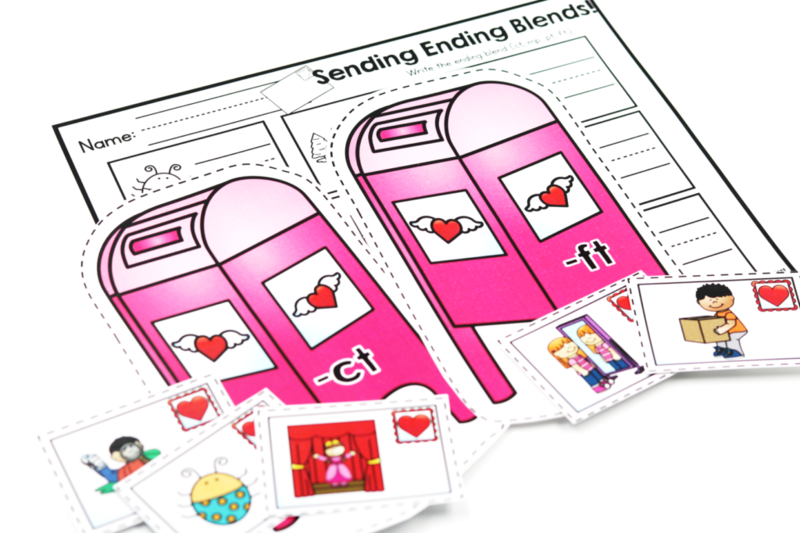 The students will identify ending blends by matching the letters to the correct mailbox. I would like to leave you with a free center from above! Roses for My Valentine is just too cute not to share! 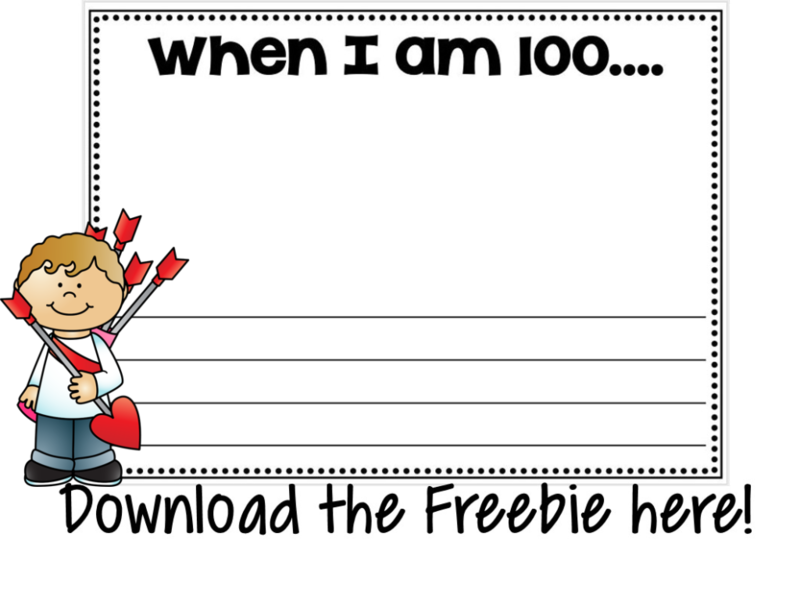 This is an instant download **HERE** or clicking on the image below! Thank you for the chance to win some great stuff!! ? Thanks in advance for your awesome generosity. This is my birthday month so this would be a really nice gift. You are the GIVEAWAY QUEEN!!!! I have a binding machine and laminating pouches in. Y cart right now!!! Winning this card would make me (and my hubby) so happy!!! Thanks for all you do!!!!! 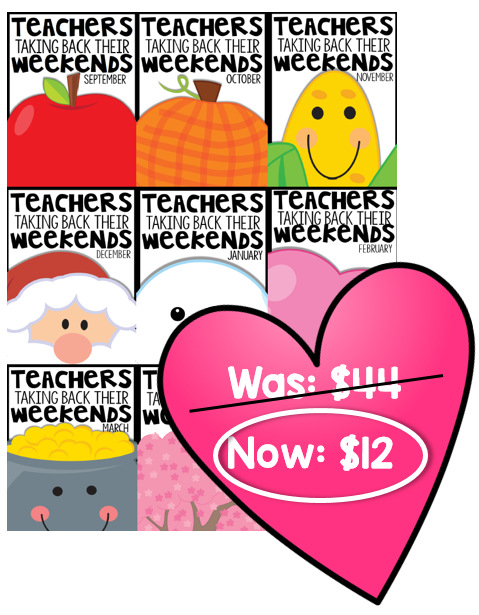 Thank you for making my teaching days a little easier with all your fabulous products! 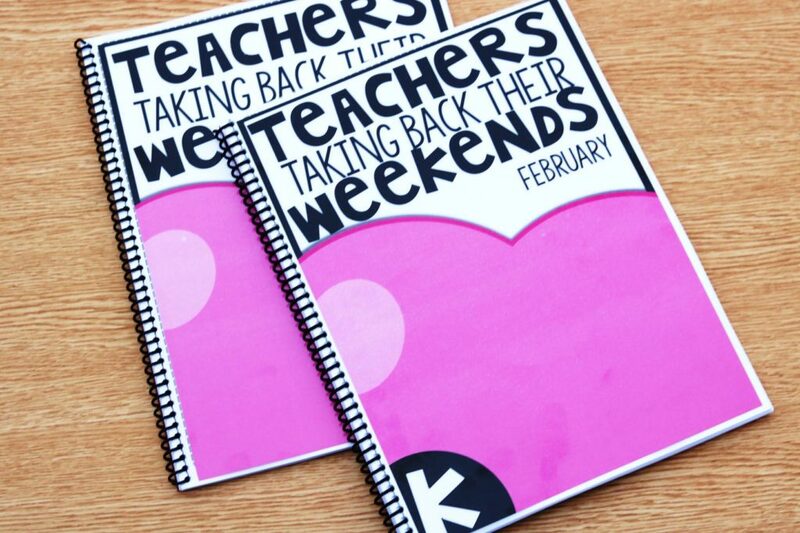 What you do for all of us teachers is so very appreciated! ? You have such a wonderful selection of products. Thanks for the giveaway chances. Have a great school year. I really love how your materials help me to be a better and more organized teacher. Thanks Tara! I love your ideas. It is so cool to try ideas that have been successful. I spend a great deal of my own money but I am always Looking for free things and great downloads. Excited about the chance to win money!!!! My husband will be so greatful! Thanks Tara! You are the Queen of ideas. I always love getting your emails. Looking forward to the opportunity to win some money to help repay my bank account as I am way too often buying things for my classroom. I am sure we can all relate. Keep up the awesome job! Thanks Again!! This would be awesome to win! January 28 is my birthday so it would be an extra sweet gift! Thanks for all of the giveaways you do! 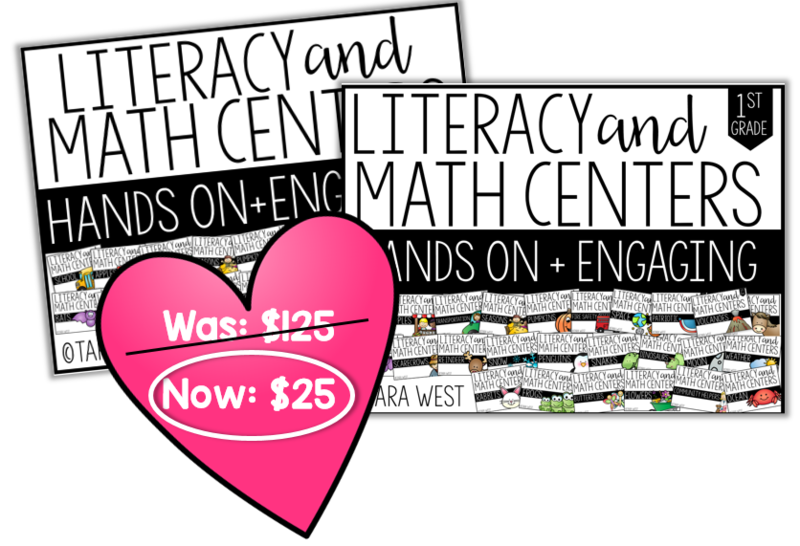 I can’t image my teaching life BEFORE Tara West. Thanks in advance! This is my first year teaching kindergarten and I have purchased a lot of your stuff and LOVE IT! They have been an awesome time saver for me and my family. I hope I win the gift card, it is my son’s birthday on the 28th too!!! Fingers crossed ..,this would be great to build my classroom resources. Thank you so much for all your wonderful resources! They have helped so much! And my kiddos love them! I love your resources. I would love to get some of the books in KinderLiteracy from Amazon so this would be a great opportunity.